Your company or organization provides a sponsorship using an amount from the grid provided in this document. 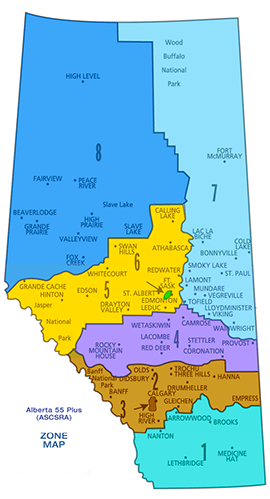 Provincial Sponsorship covers the entire Provincial membership in all Zones. Games Sponsorship is specific to a sanctioned Alberta 55 plus Games event. This allows sponsors to choose specific events or locations in which to promote themselves. Both sponsorship types are available in three packages: Gold, Silver and Bronze and provide different options to suit a multitude of companies looking to target a specific demographic. Provincial Games finalists (medal winners) who choose to advance to the Canada 55+ Games, this year in Saint John, New Brunswick (August 2018) can help you get your company or organizational message to a national audience. We put you in touch with individuals looking for assistance with travel and accommodation, and in return can promote you using a variety of methods from brochure drops to wearing custom made athletic gear. 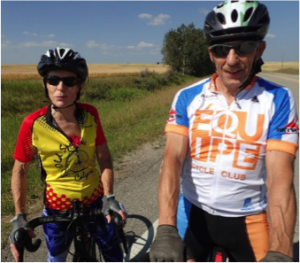 Alberta 55 plus (Alberta Seniors Sport & Recreation Association) is a Registered Charity and Non-Profit Organization. We can provide you with a Canada Income Tax Charitable Donation Receipt for any donation received. In addition, we will provide a signed thank you letter from our President, and acknowledgement on our web site and in our Provincial Newsletters. Your company or organization agrees to provide a moderate discount on goods and services to our Members with an active Membership Card for a one-time administrative fee of $100.00 (waived if core sponsorship has been purchased). In exchange, we will promote your company in a multitude of ways, including but not limited to the Alberta 55 plus ‘Show Your Card & Save’ Directory, our website, and you will be first in line to help sponsor local Alberta 55 plus events in our Participants handbook, provided to every Games Participant (and spouse). Published every two years (odd years) to coincide with our Provincial Playoff Games, the Rules of the Games Handbook is available to every Alberta 55 plus Member. It outlines the Rules for all Activities offered, including Game Courtesies, Tournament Formats and a Dispute Resolution mechanism. It is the definitive guide for all Alberta 55 plus Members and is a requirement for participating in Zone Playoff and Provincial Games. It is provided in print format during Games and is always available on our web site for viewing and download.